Enjoying ice cream doesn't just have to be a summer pastime. At least not in the case of ME! Bath Ice Cream -- which, rather than chilling you to the bone in the cold weather, will totally heat up your bath! 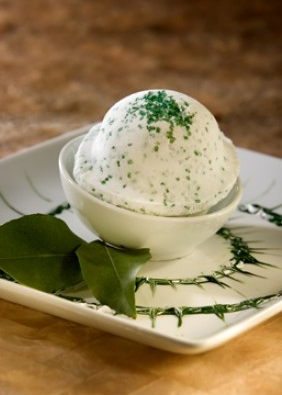 Each ice cream ball is chock-full of minerals and oils to hydrate and moisturize your skin. Even more fun, it fizzes as it's dropped into the tub and releases amazing aromas. Some of this beauty chick's favorites? Succulent Choco-holic, tangy Morning Grapefruit, heady Valley of the Roses and calming Drift Away. Each is only $8 on ME! Bath's website, which means you can stock up and usher in the days of summer all winter long.